This new gathering of the world's greatest classical themes follows Bergerac's highly successful "My First Book of Classical Music." 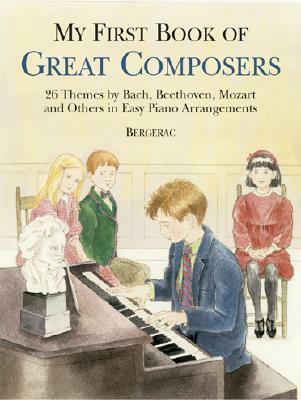 Here are ever-popular themes from the symphonies, concertos, and operas of such masters as Bach, Beethoven, Brahms, Chopin, Mozart, Haydn, Tchaikovsky, Verdi, and many others. For children and beginners of any age. Dover Original.